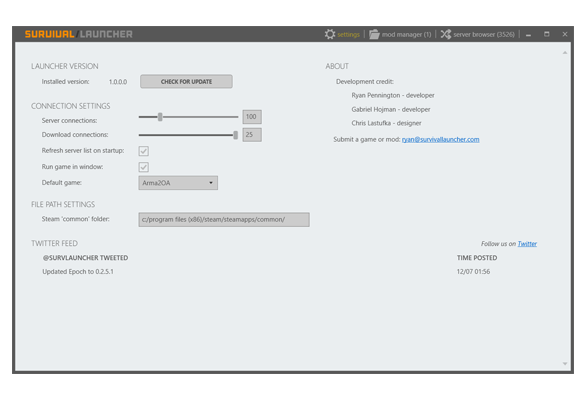 Survival Launcher is an all-in-one game / mod manager, mod downloader, and server browser with advanced mod recognition. 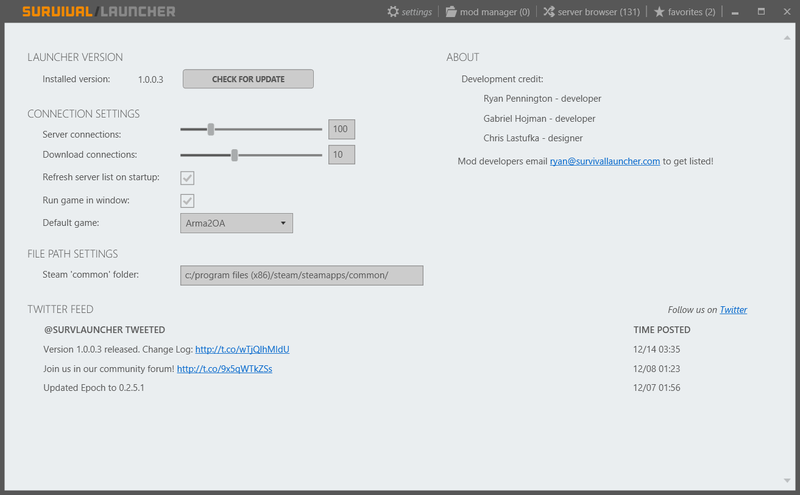 No longer will you need to set launch parameters, switch between multiple launchers, or download mods manually, we've got you covered! Set options to map your games to the launcher and tune to your liking. 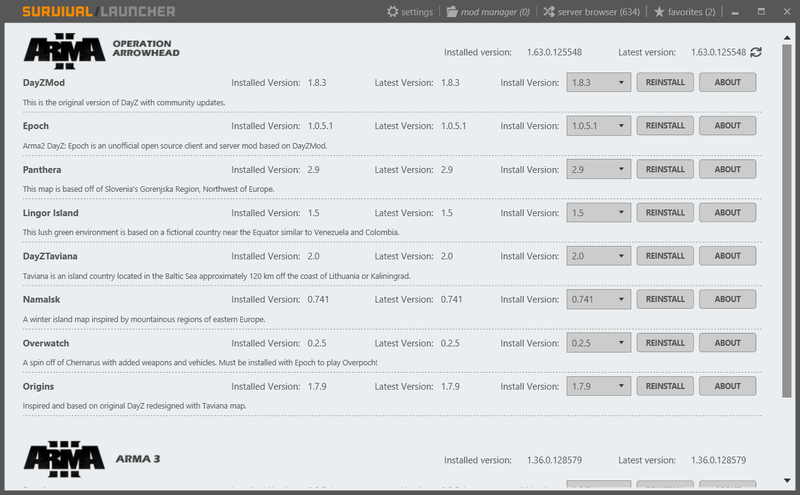 Check out the latest mods, update to the latest versions, all directly downloaded for maximum download speed. 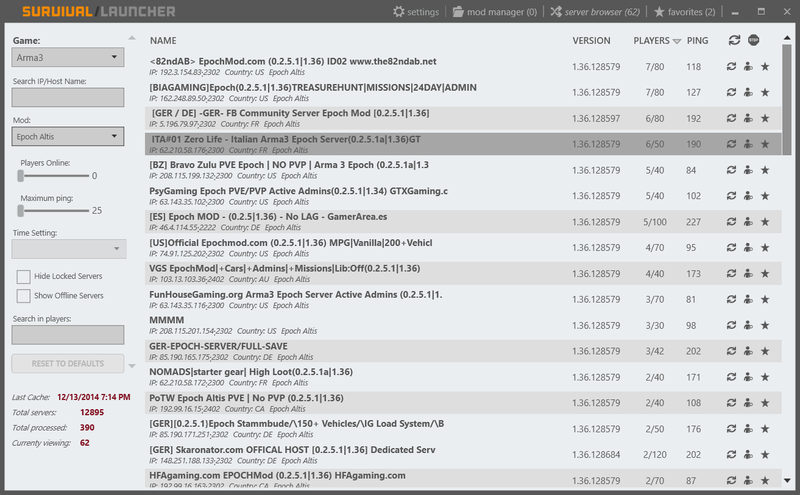 Browse through game servers quickly and easily. Search, filter, and sort to find any game server. It just blew away what I was using before and the design of it is just outstanding. Love how this launcher works and will continue using it. Thank you guys so much for making something that actually works and is supported. No more searching for hours to find a server to join, or wondering where my server is.